CarGurus has 276 nationwide CR-Z listings starting at $4,499. Known in automotive circles as a sport hybrid coupe, the 2012 Honda CR-Z is basically the same vehicle that debuted in 2011. 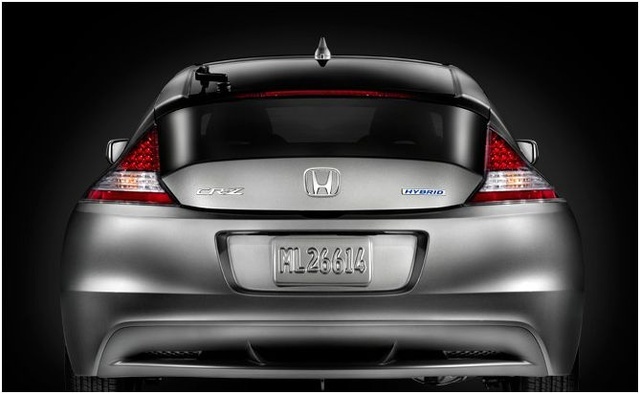 The 2012 Honda CR-Z is available in three different trims: Base, EX and EX with navigation. 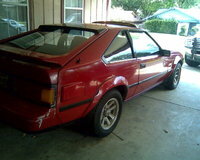 All trims are available with a 6-speed manual overdrive transmission (with a hill-start-assist feature that applies pressure to the brakes for a couple of extra seconds when starting the vehicle on a hill) or a continuously variable transmission (CVT), which allows the car to provide better fuel economy by allowing the engine to turn at the RPMs that allow it to produce maximum power. A 16-valve, 4-cylinder, 1.5-liter i-VTEC engine powers the 2012 Honda CR-Z and is rated 35 mpg city/39 highway in CVT versions and 31/37 in manual-equipped cars. 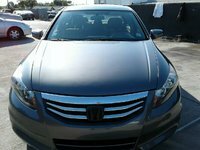 For music lovers, the 2012 Honda CR-Z Base trim comes equipped with a 160-watt audio system with 6 speakers, while the EX comes with 360 watts and 7 speakers (including an 8-inch subwoofer). Each version can support all portable music players and has Honda’s USB audio interface, which will charge a device as well as playing music. Trims with navigation have 8GB of memory, and the system can be used simply by pushing a button on the steering wheel. Standard equipment for the 2012 Honda CR-Z includes a tilt-and-telescopic steering column with steering-wheel-mounted controls, rear cargo console (for flexible storage), 3-mode drive system (Push Sport, Normal and Econ) to allow you to adjust the CR-Z to your driving needs, automatic climate control, Vehicle Stability Assist with traction control and 16-inch alloy wheels with P195/55R16 all-season tires. Standard safety features for the 2012 Honda CR-Z include an antilock braking system; driver and passenger active head restraints; dual-stage, multiple threshold airbags; side curtain airbags and a tire pressure monitoring system. For EX trims, standard equipment also includes textured aluminum pedals and Bluetooth, while standard equipment for versions with the CVT includes an aluminum shift knob with leather cover. Optional equipment includes 17-inch alloy wheels with 205/45R17 all-season tires, XM radio, bodyside molding, tailgate and front lip spoilers, splash guards and a rear diffuser. The 2012 Honda CR-Z is available in five colors: Storm Silver Metallic, Milano Red, North Shore Blue Pearl, Premium White Pearl and Crystal Black Pearl. 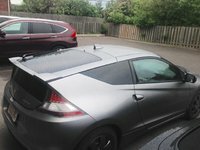 Those who wish to have additional styling notes for their 2012 Honda CR-Z can choose the Mugen package, which features a wing spoiler, body kit, deluxe front grille, sports mats and other interior styling appointments. Being a hybrid, the 2012 Honda CR-Z handles a bit sluggishly in Econ mode, with slow throttle response and loose response from the steering. In Push Sport and Normal modes, these issues go away. With a rigid chassis design and fairly even weight distribution (60 percent front to 40 percent rear), cornering is smooth and easy in the CR-Z. Competitors for the 2012 Honda CR-Z include the Chevrolet Cruze, Scion tC and Kia Forte Koup. With a stylish exterior, roomy interior with plenty of storage and sporty handling, the CR-Z compares well to all those models. 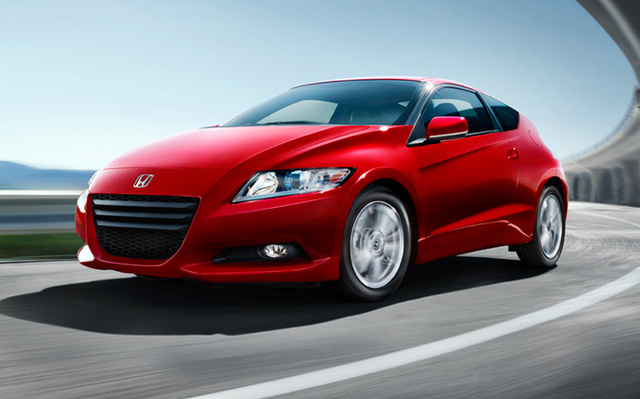 What's your take on the 2012 Honda CR-Z? Users ranked 2012 Honda CR-Z against other cars which they drove/owned. Each ranking was based on 9 categories. Here is the summary of top rankings. Have you driven a 2012 Honda CR-Z? 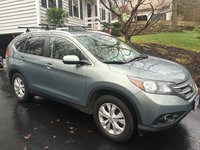 Navigation screen dims when I put headlights on no indication my battery is bad still had it tested all good what could it be? Honda 2012 CR-Z, Automatic Shift.